Have you ever looked at the ingredients on your makeup? There is a lot of stuff going on (fillers, fragrance, waxes, polymers, preservatives...), and most of it is almost impossible to pronounce little own decipher what it does. Sometimes it nice to take a simpler route, and opt for products with more natural ingredients. 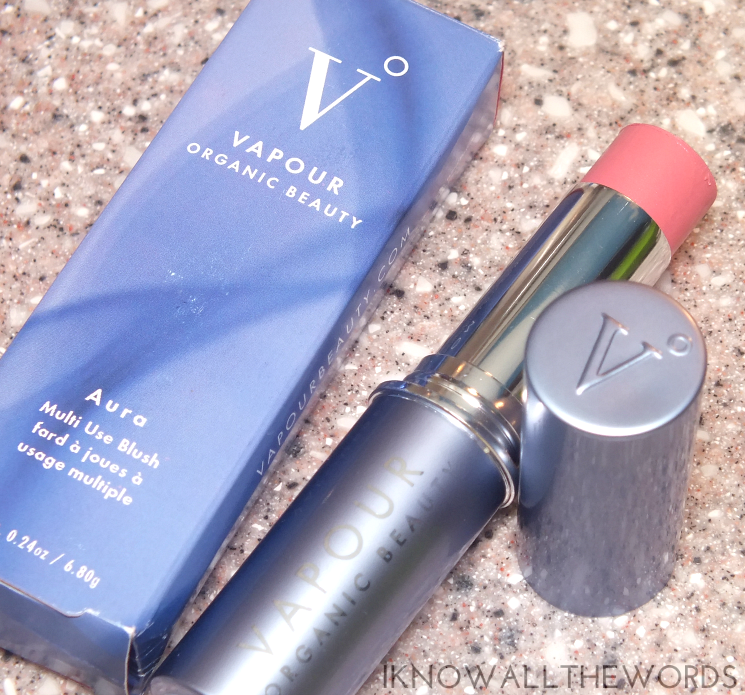 Vapour Organic Beauty happens to be one of those brands. 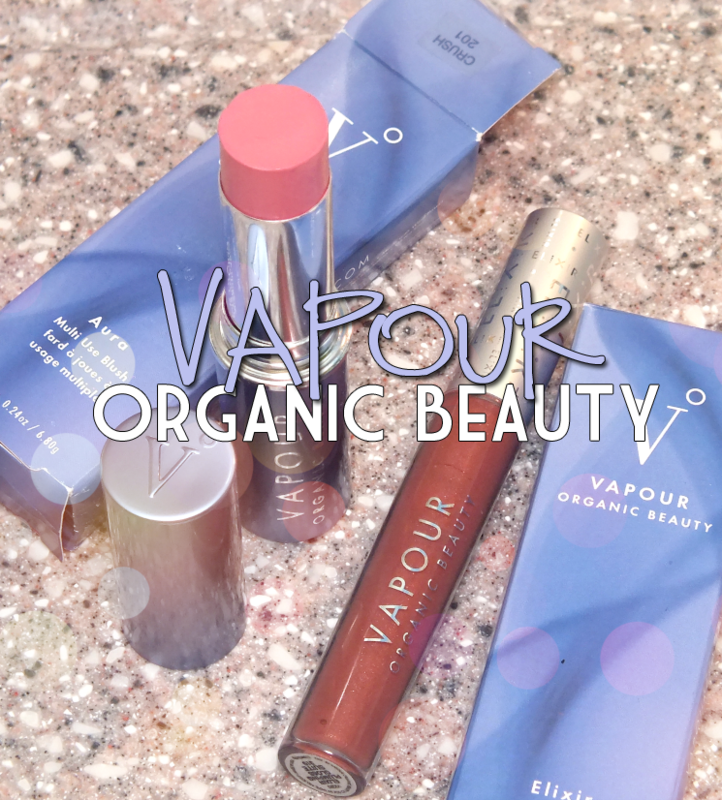 Vapour Organic Beauty proves you don't have to sacrifice quality when opting for more natural beauty products. 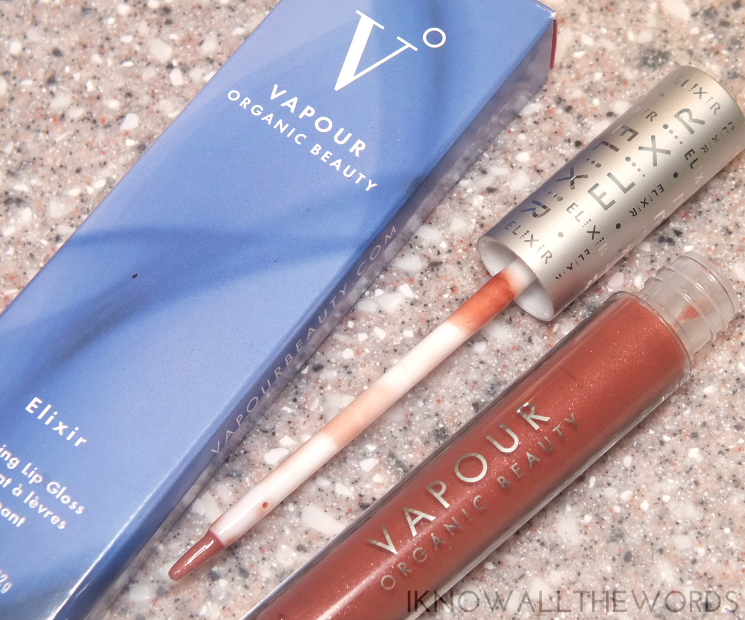 Read on for a closer look at Vapour Organic Beauty Elixir Plumping Lip Gloss & Aura Multi Use Blush. "Elixir Plumping Gloss is made with 70% organic ingredients and 30% natural mineral pigments. Elixir rejuvenates lips with antioxidant-rich Acai and Goji berries, ultra-hydrating, vitamin-rich Lecithin, and Jojoba Oil. Elixir contains Vapour’s lip-specific infusion of nourishing Myrrh, restorative Lemon Balm, antioxidant Green Tea, and soothing Iceland Moss." Vapour Organic Beauty Elixir Plumping Lip Gloss is the perfect gloss if you're not a fan of gloss as it's completely stick/tack free. It seriously has one of the best textures if you're anti-stickiness. The formula is nice and shiny, light weight, and smells incredible thanks to plum and apricot flavour oil. The formula also contains a host of organic oils and fruit extracts. I tend not to go for plumping formulas, but this isn't a typical burning/stinging type of plumper. The formula moisturizes lips with plumping liposomes to give lips a more plump look. I have the shade Suite, which Vapour calls 'deep, honey peach with subtle flecks of gold.' A perfect description. The gloss is semi-sheer, but gives a nice wash of colour and the subtle shimmer is just enough to reflect a bit of light. I don't find this to be the longest lasting gloss, but the formula does leave lips feeling lightly hydrated and is worth having to reapply. "Aura Multi-Use Blush—Classic gives a natural flush of color. These universally-flattering core colors work on all skin tones and all ages. Give the Vapour glow to cheeks, lips and eyes with one convenient stick. Aura blends like a dream for a polished look in seconds. No wonder Aura is the darling of top beauty editors everywhere. Aura nourishes with Vapour’s face-specific infusion of soothing Frankincense, antioxidant Tulsi, and calming Lotus." 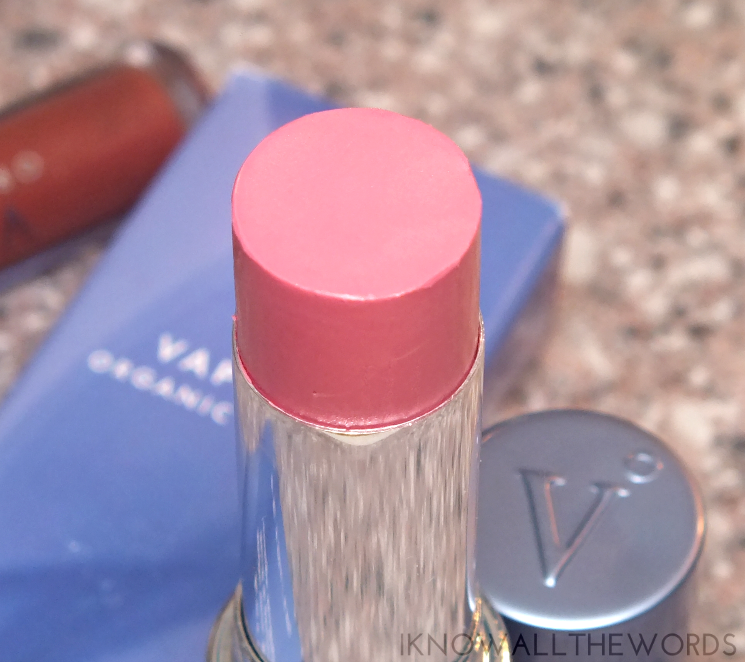 Vapour Organic Beauty Multi Use Blush comes in three varieties- Classic (for a natural flush), Radiant (to highlight and define) and Stain (for bolder, long-lasting colur.) The shade I've been using 201 Crush, a 'sheer, soft pink' from the Classic range. Crush creates a soft, pink flush with a subtle radiance when used on cheeks that is very pretty and natural. 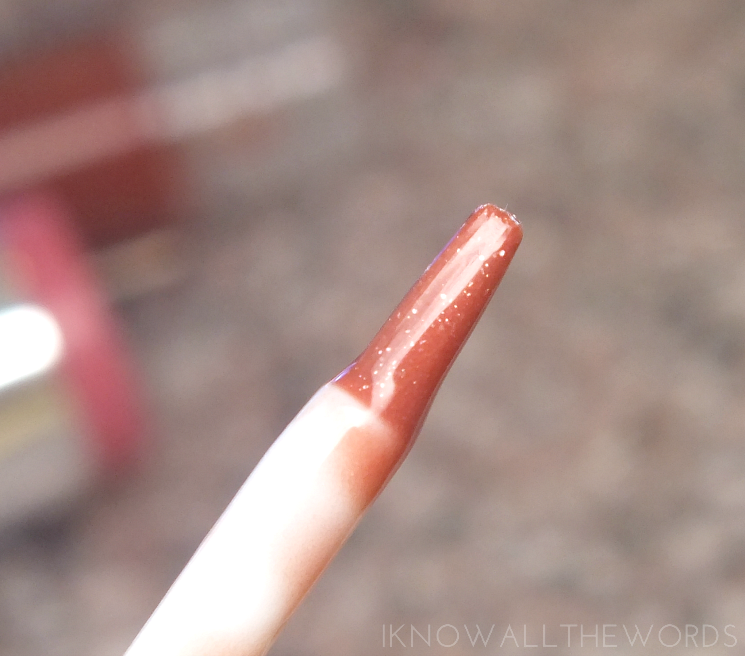 The colour is sheer, but builds easily, although this might not be the best shade for deeper skin tones. The creamy formula is smooth and easily blendable on skin, but can also be used eyes and lips. I didn't think to use it on eyes, but it does perform well on lips, as the creamy and hydrating formula stays slightly dewy, and as such applies smoothly and wears well. The creamy formula wears well on my drier skin, but I did notice some fading by hour 4-5. It's been quite warm here, so I find a touch of transparent powder works well to set this when using it as blush. Overall, I'm a fan of both of these products. 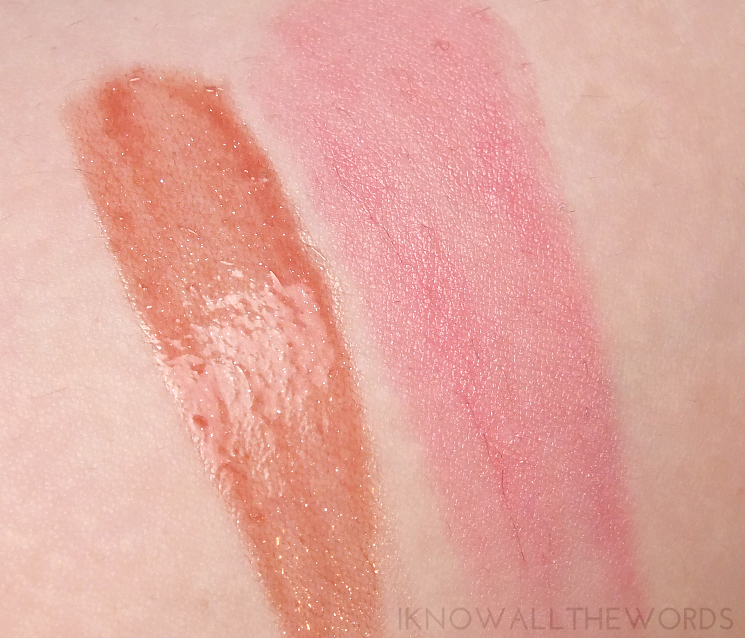 I love that the gloss isn't sticky and that the blush gives such a natural flush. You also can't help but love Vapour Organic Beauty for their commitment to their core philosophies in creating safe and ethical products. Interesting fact- Vapour formulas are waterless which means you're getting a more concentrated product while conserving valuable fresh water sources. Have you tried these or any other products from Vapour?